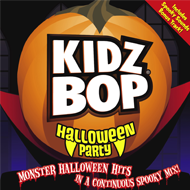 Just yesterday, I received a copy of KIDZ BOP HALLOWEEN PARTY for review. It was absolutely perfect timing since Booking Son's Halloween party is taking place today. We immediately played the CD and it definitely got us in the Halloween spirit. (get it? spirit?) This CD contains some pretty famous Halloween songs in a continuous "spooky mix." All of the songs are kid-friendly and sung by kids. KIDZ BOP HALLOWEEN PARTY is sure to be a hit with parents and kids alike! Check it out this Halloween! Harper Collins and LIESL & PO present "A Magical Halloween Super Contest"
Halloween may be full of ghosts and goblins, but it’s also the time for magic and friendship. LIESL & PO, a brand new book coming to you from our friends at Harper Collins, is full of adventures featuring two friends, a villain, and a box full of magical powers. KidzBop.com, the leading safe social network and video sharing site for kids and tweens, is scaring up some Halloween fun with Harper Collins and New York Times best-selling author Lauren Oliver, by launching the LIESL & PO Magical Halloween Super Contest. Kids can get in the Halloween spirit now through November 7th by uploading a video explaining which power they'd most like to have and what they'd do with it. You could win a NOOK Color, $100 Amazon gift card, a copy of LIESL & PO and more awesome swag. I'm really excited about the idea of a kids' book of the month club! Share this and the Magical Halloween Super Contest with the kids and tweens in your life. Are you kidding? What a fabulous album! What fun! Wish I had a little one to share Kidz Bop with. Vance used to love CDs like that, so we'd hear them over and over and over again. That CD sounds great - I love "Monster Mash"! I just finished Liesl and Po, and it was great too.